BUTUAN CITY, Feb. 6 - Police Regional Office 13 (PRO13) deployed 384 strong Philippine National Police (PNP) personnel in Lanao del Norte to secure the 2nd Bangsamoro Organic Law (BOL) Plebiscite held today. 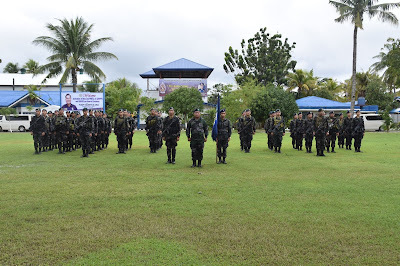 The police personnel comes from the Mobile Forces of PRO13 composed of 12 Police Commissioned Officers and 372 Police Non-Commissioned Officers who are deployed in different parts of Lanao del Norte, said PRO13 Regional Director PCSupt Gilberto DC Cruz.. Most of the troops will secure polling centers, some will be on standby as quick reaction teamsand others will form as personnel at Command Post of PRO13. PROPERIDAD, Agusan del Sur, Feb. 6 (PIA) - Director-General Isidro Lapeña of the Technical Education and Skills Development Authority (TESDA) witnessed the recently-held graduation ceremony of some 447 trainees who are now graduates of the skills training they have availed under the various scholarship programs of the agency. 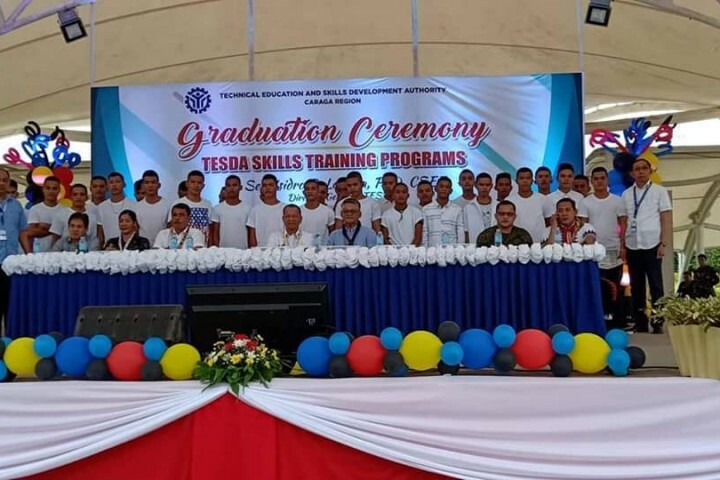 In his message, Lapeña emphasized that there is a need to increase people’s awareness on the existing skills training and scholarship programs of TESDA, so more people could also benefit from it and could have the chance to experience a better life with their family. 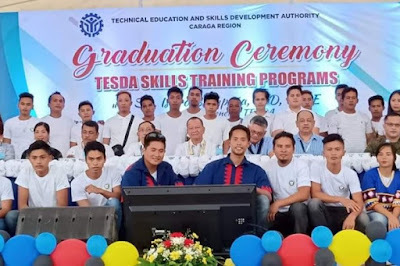 He said this is one way of inspiring other people to visit and approach TESDA and avail of any skills training and enhance their own skills. Lapeña clarified that anyone could apply for any training offered by the government. He also advised the graduates to visit their local TESDA offices to assist them in their job hunting opportunities here and abroad. Meanwhile, in time with the graduation ceremony of the trainees, DG Lapeña also led the inauguration of the newly-built administration building of the Agusan del Sur School of Arts and Trades (ASSAT) in Patin-ay, Prosperidad, Agusan del Sur worth P3.8-million. BUTUAN CITY, Feb. 6 - The Sangguniang Panlalawigan of Agusan del Norte recently approved the availment of a financial assistance in the amount of Php5-million from the Department of the Interior and Local Government (DILG) Regional Office XIII for the construction of a halfway house (livelihood center) for former rebels and Militia ng Bayan Members. The program is under the Enhanced Comprehensive Local Integration Program (E-CLIP), which is a national government’s peace and development framework, implemented by DILG. This is also in line with Executive Order No. 3, series 2001 that calls for a comprehensive, integrated and holistic peace process to address the internal armed conflict and ensure the safety of former rebels, as well as providing for a community-based assistance in response to their social and psychological rehabilitation needs. BUTUAN CITY, Feb. 6 - The Sangguniang Panlalawigan of Agusan del Norte recently approved Provincial Ordinance No. 515-2019 that establishes programs for the implementation of Republic Act 8972, otherwise known as the The SOLO PARENTS' Welfare Act of 2000, in the province of Agusan del Norte and for other purposes. Under the ordinance, authored by Provincial Board Member Elizabeth Marie R. Calo, benefits and privileges of solo parents were itemized. The provincial government now has a Comprehensive Package of Programs, Services and Benefits for solo parents and their families to include: livelihood development services which include free trainings on livelihood skills, basic business management, value orientation and the provision of job placement; provision of seed capital/financial assistance for starting up a small-scale business in the amount of not less than Php10,000.00; and counseling services which include individual, peer group or family counseling that will focus on the resolution of personal relationship and role conflicts. It also includes the parent effectiveness services which cover the provision and expansion of knowledge and skills of the solo parent on early childhood development, behavior management, health care, rights and duties of parents and children; critical incidence stress debriefing which includes preventive stress management strategy designed to assist solo parents in coping with crisis situations and cases of abuse; special projects for individuals in need of protection which include temporary shelter, counseling, legal assistance, medical care, self-concept or ego-building, crisis management and spiritual enrichment. Under the ordinance, the employer shall provide for a flexible working schedule for solo parents who are working, provided, that the same shall not affect individual and company productivity, and provided, further, that any employer may request exemption from the above requirements from the DOLE on certain meritorious grounds; and non-discrimination by employer against any solo parent employee with respect to terms and conditions of employment on account of his/her status. In addition to leave privileges under existing laws, parental leave of not more than seven working days every year shall be granted to any solo parent employee who has rendered service of at least one year; and can be availed of either in consecutive or non-consecutive days which shall not be convertible to cash. The province shall provide the following educational benefits such as scholarship programs for qualified solo parents and their children in institutions of basic, tertiary and technical/skills education; and non-formal education programs appropriate for solo parents and their children. Solo parents shall be given allocation in housing projects and shall be provided with liberal terms of payment on said government low-cost housing projects in accordance with housing law provisions prioritizing applicants below the poverty line as declared by the NEDA; a comprehensive health care program for solo parents and their children; and provision of medical assistance for hospitalization and medicine. 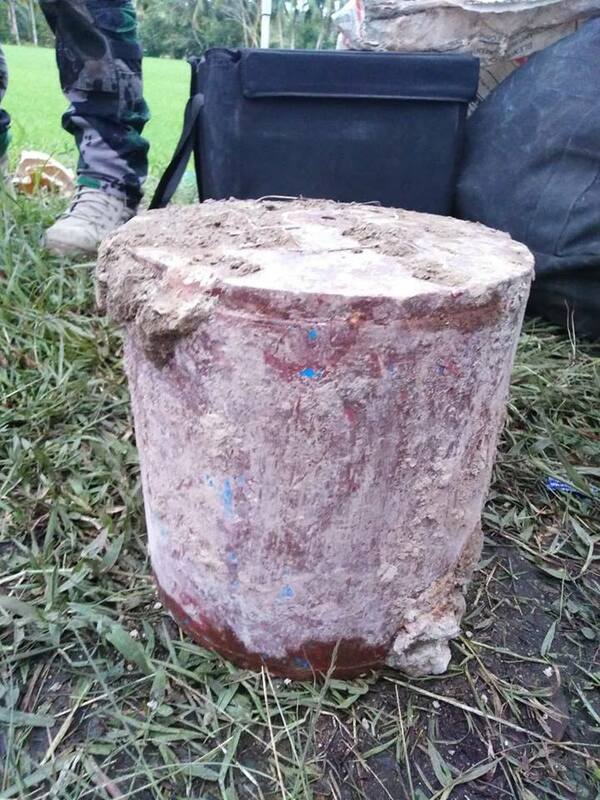 MARIHATAG, Surigao del Sur, Feb 6 (PIA) – The authorities safely recovered an anti-tank Improvised Explosive Device (IED) along the national highway of Brgy. Amontay, Marihatag, Surigao del Sur on February 1, 2019. The IED has a dimension of 8 inches diameter and 1 foot height with wiring and blasting cap and weigh up to seven kilos. Police Provincial Office (PPO) Director PSSupt. Francisco Dungo Jr. said that the information was given by a former rebel (FR) who returned to the fold of the law last January. After knowing the report, Police Regional Office 13 Regional Director PCSupt. Gilberto Cruz immediately requested the Department of Public Works and Highways (DPWH) to excavate the area considering the risk to the motorists in case of accidental detonation. 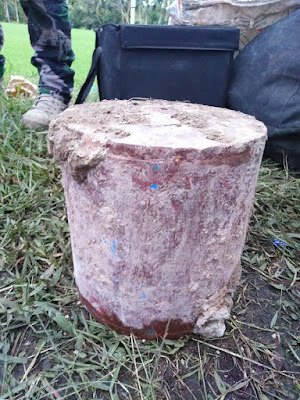 Based on the report, the excavation started on January 28, 2019 by the PNP explosive ordnance disposal (EOD) unit/K9 group in cooperation with the DPWH and the Philippine Army. PROSPERIDAD, Agusan del Sur, Pebrero 6 (PIA) - Personal na dinaluhan mismo ni Director General Isidro Lapeña ng Technical Education and Skills Development Authority (TESDA) ang graduation ceremony kamakailan ng 447 trainees mula sa Agusan del Sur matapos sumailalim sa iba’t-ibang pagsasanay sa ilalim ng iba’t-ibang scholarship programs ng ahensya. Hinimok ni Lapeña ang mga trainees na ibahagi o ipamalita sa kanilang mga kapamilya’t kakilala ang kanilang karanasan habang ang mga ito ay sumailalim sa iba’t-ibang pagsasanay. Ayon kay Lapeña, kailangang malaman ng ibang mamamayan na may ginagawa ang pamahalaan upang mabigyan ng pagkakataon ang mga nais sumailalim sa pagsasanay at makapaghanap ng trabaho upang mabigyan ng magandang kinabukasan ang kaniyang sarili at pamilya. Ito rin ay isang paraan na magbibigay inspirasyon sa iba na sila’y lumapit rin sa TESDA upang makapagsanay at mapaunlad ang sariling kakayahan. Sinabi rin niya na kahit na sino ay pwedeng sumailalim sa mga pagsasanay na inihahandog ng pamahalaan. Hinimok din nito ang mga nagsipagtapos na lumapit sa tanggapan ng TESDA upang sila’y matulungan naman makapaghanap ng trabaho. Samantala, kasabay ng nabanggit na graduation ceremony ng mga trainees, pinasinayaan din ni Lapeña ang katatapos lang na administration building ng Agusan del Sur School of Arts and Trades (ASSAT) sa Patin-ay, Prosperidad, Agusan del Sur na nagkakahalagang P3.8-million.